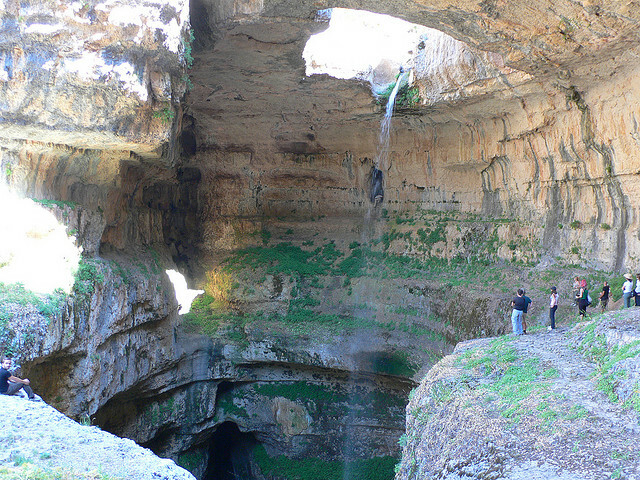 Only discovered in 1952 the Baatara Waterfall in Lebanon is something more than a little unusual. If waterfalls can be said to have a trick up their sleeve then this one has one of the best. 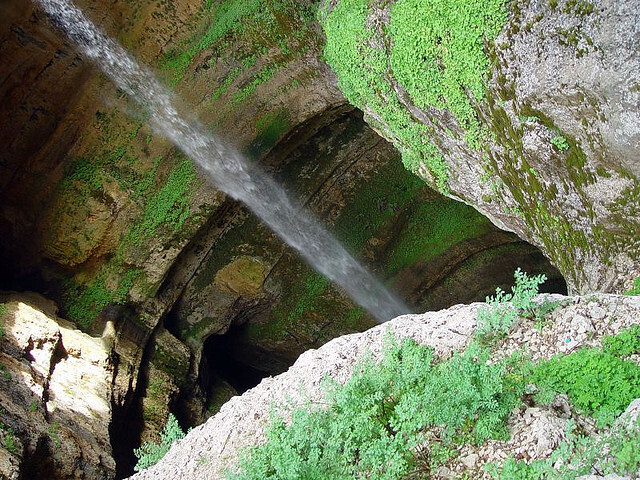 The waterfall drops a staggering 837 feet (255 meters) in to an enormous cave of Jurassic limestone. 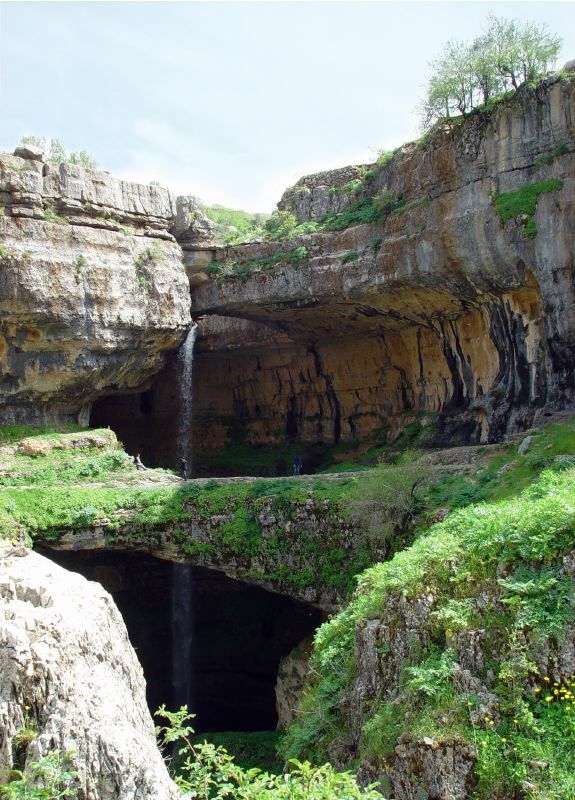 Situated on the Lebanon Mountain Trail the abyss in to which the waterfall drops is also known as the Three Bridge Chasm. It gets this name because the journey in to the valley below takes in three naturally formed bridges, each rising above the one below. 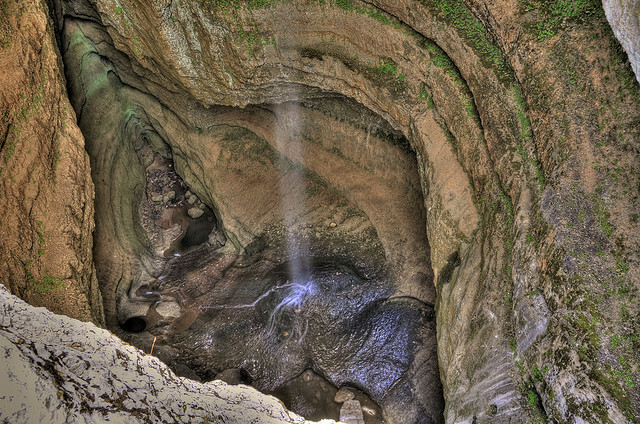 The waterfall is at its peak when the winter snows begin to melt and the water cascades in to the chasm. Scientists in the eighties dyed the water and showed that it eventually came back in to daylight in the nearby village of Mgharet al-Ghaouaghir. 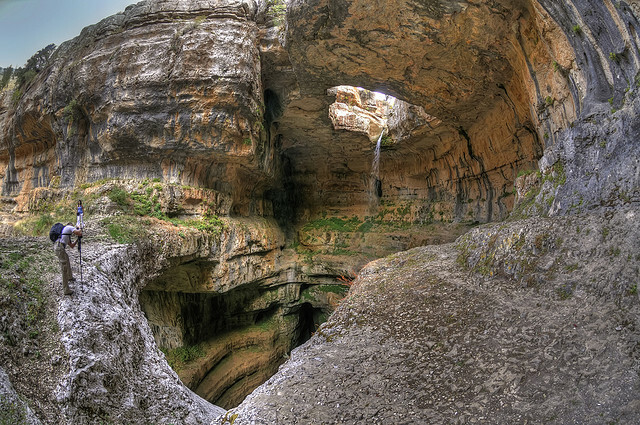 One of the most remarkable geological formations on the planet, the installation of safety equipment was considered to equip the site with a Tyrolienne or other such climbing facilities to cater for sports enthusiasts. Fortunately, this idea was discarded as the authorities decided that the installation of such equipment would degrade the outstanding beauty of the place. It must have been a day to remember for Henri Coiffait, the French bio-speleologist who discovered the Pothole in 1952. 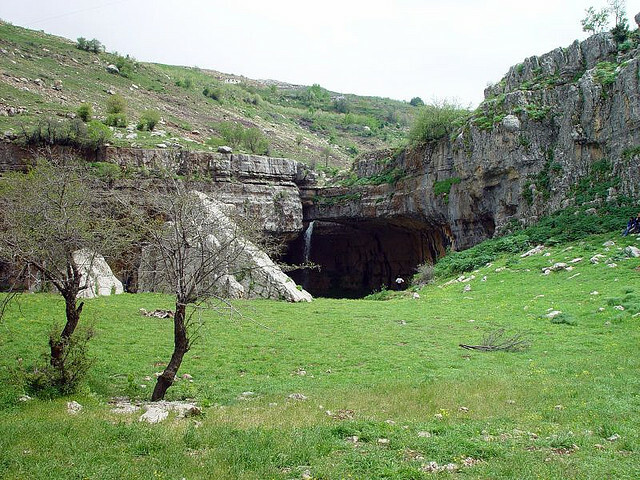 Strange that it took until the twentieth century to discover something that was within walking distance of the town of Tannourine and the little village of Balaa. Perhaps it was obscured from view - walking across the meadow towards it, one might not guess what was about to reveal itself. However, that very year the local potholing club explored the pothole, reaching the bottom. 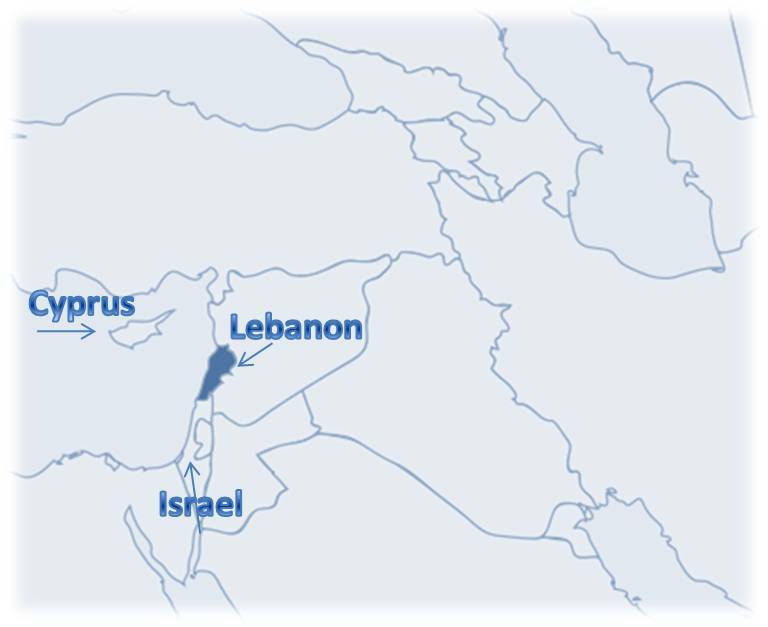 It was not, however, fully mapped until thirty years later. The Jurassic limestone at the top sequence of the pothole is over 160 million years old. 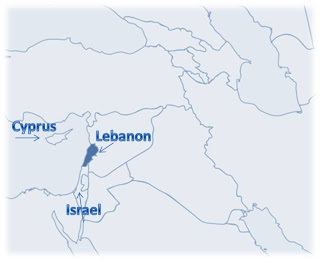 The formation is vital to the locality as it is from here that mush of the fresh water in the area is sourced. 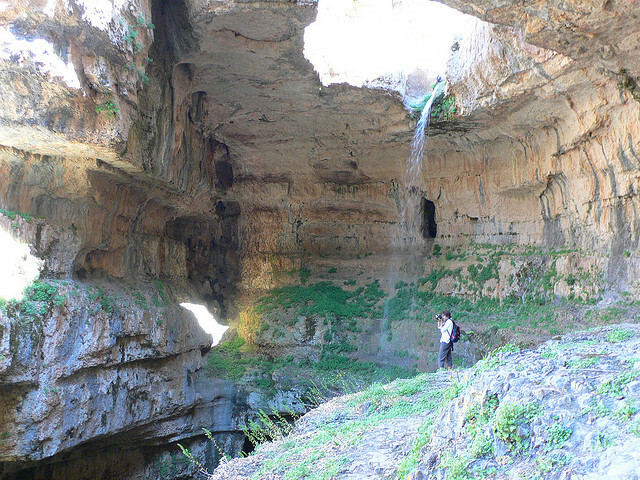 Water from the stream slowly infiltrated the limestone over the millennia. 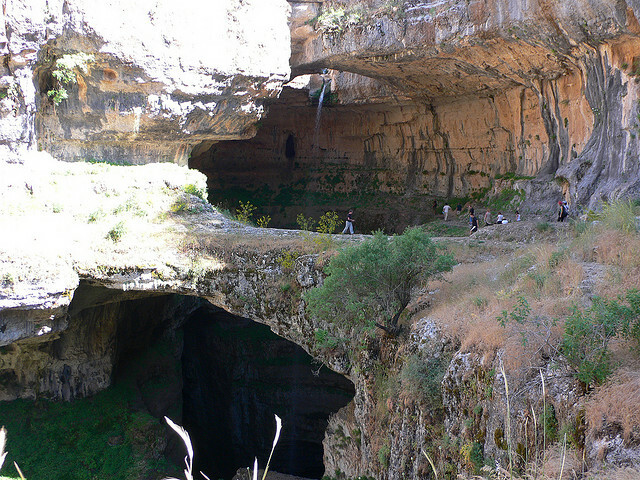 The top bridge was revealed, then over a vast period of time vertical and circular erosion, combined with a series of collapses created the middle and bottom two bridges. Even today the development of the pothole is not complete – neither will it ever be while water flows in to it. Most destructive are the winter freezes which, when the ice melts, often cause large chunks of the side of the pothole to break away. 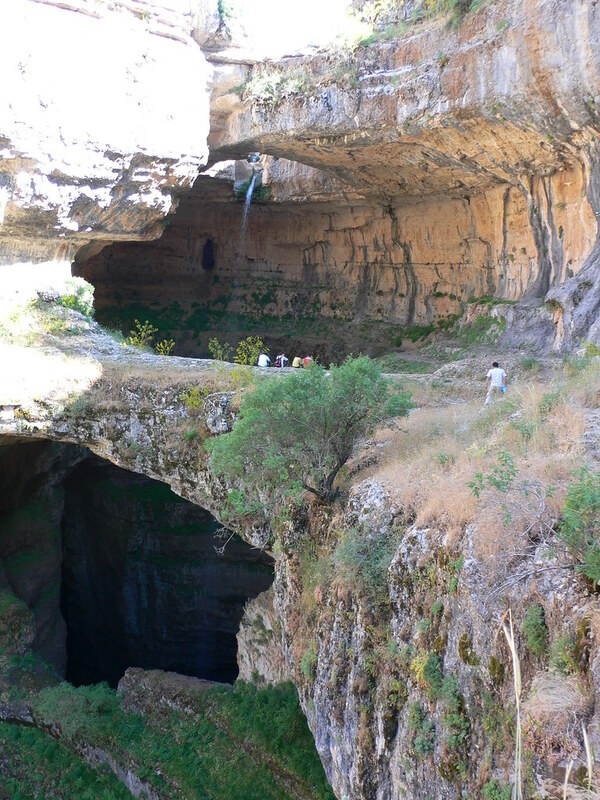 There is nothing to mark the waterfall and the chasm except a sign post which very strictly instructs visitors not to go too close to the edge as they are slippy and a fall would lead to almost certain death. Likewise, walking on the middle bridge is prohibited as it would be in danger of collapse with the added weight of an unwary tourist. The length of time that this remarkable geological site has left, before erosion does it work, is something that can only be guessed at. 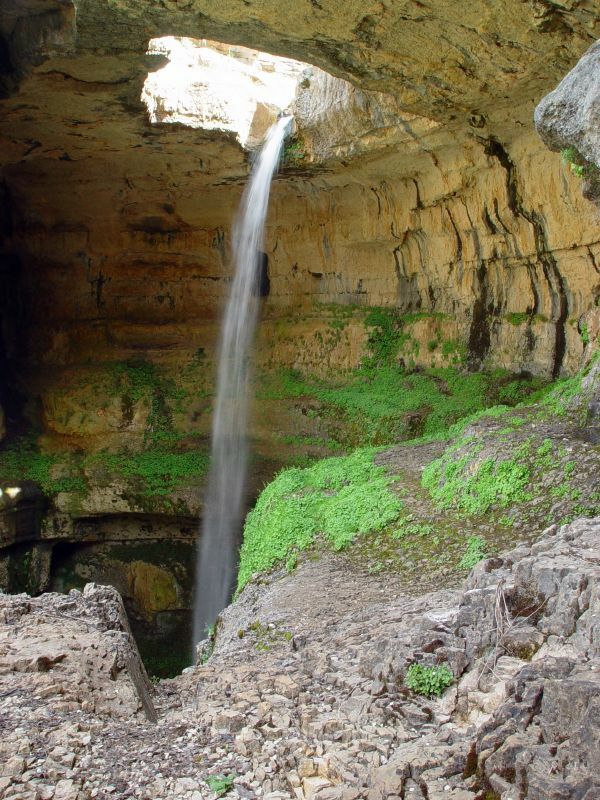 However, in the interim this outstanding waterfall and pothole is something which can be enjoyed by visitors to Lebanon.